Review: The album title Czech Philharmonic Orchestra Plays Studio Ghibli Symphonic Collection leaves very little doubt as to its contents and to the quality of the tracks contained within. Indeed, it begs the question as to why this review exists at all given that Ghibli music is beautifully stirring and its performance by a national orchestra guarantees results that leave you in awe. The objective of this review lies not in praising the music to the high heavens; the Czech Philharmonic’s performance takes care of that. Rather, it’s to praise the album’s variety. Many Ghibli arrange albums are content to let Joe Hisaishi take center stage. In doing so, they neglect lesser-known but equally deserving composers. Names like Akiko Yano and Yuji Nomi aren’t going to be at the forefront of anyone’s lips, but their appearance on this album — the former for My Neighbor the Yamadas and the latter for The Cat Returns — bring with them an atmosphere that complements Hisaishi’s brilliant compositions. Hisaishi’s inclusions on this arrange album are known quantities. The first three tracks ease you into Princess Mononoke‘s epic journey, from the stirring “The Legend of Ashitaka” to the hopeful “Ashitaka and San”. That each of these tracks are lifted, note for note, from the Symphonic Suite Princess Mononoke doesn’t bother me in the slightest. The performance by the Czech Philharmonic allows me to sit back and relive the protagonist’s transcendent journey. Likewise, when the music from Howl’s Moving Castle surfaces, there’s a ringing familiarity even if it eschews the ubiquitous “Merry-Go-Round of Life” in favor of the movie’s secondary motifs. Tracks like “A Mysterious World” and “Moving Castle” beckon towards adventure, whether it’s through momentous fanfares or by infusing a sense of wonder into the melody. And while the aura of adventure rides high, “Cave of Mind” proffers a stirring, yet introspective melody as it layers a peaceful, pensive tone upon the proceedings. Where the album shines is in bringing the works of Akiko Yano and Yuji Nomi to the fore. Prior to the album, I had neither seen nor heard of My Neighbor the Yamadas or The Cat Returns. But through the their efforts here, I got a better sense for the musical brushstrokes these composers used in setting the tone for their respective films. For example, Yano’s “The Theme of My Neighbors the Yamadas” carries the flights of fancy of a family bungling their way through life’s hapless moments. But through it all, the warm bond heard in the music persists, illustrating their ability to see themselves through the hardships as they wholeheartedly embrace the concept of family. Where My Neighbor the Yamadas embraces the everyday, The Cat Returns looks to the extraordinary and the main theme, “Baron”, embodies this mood. Starting with the trumpet’s fanfare, the melody ushers you through fantastic sights after sounding the call to adventure. And yet, after the traveling, “Pastoral”, with its slower melody, nudges you home with its yearning harp and comforting woodwind sections. It was these two tracks that made me want to check out The Cat Returns and the movie is every bit as wonderful as the music suggests. Finally, I’d be remiss if I didn’t mention the beautiful “Always With Me” from Spirited Away. The fluttering strings segue into a stately compelling melody that does the vocal version just one better. It’s a great way to end the album as it leaves you with simple joys to serve as a reminder that, while the characters in Ghibli films may experience wondrous moments, there’s no better feeling than to curl up next to home’s loving embrace. 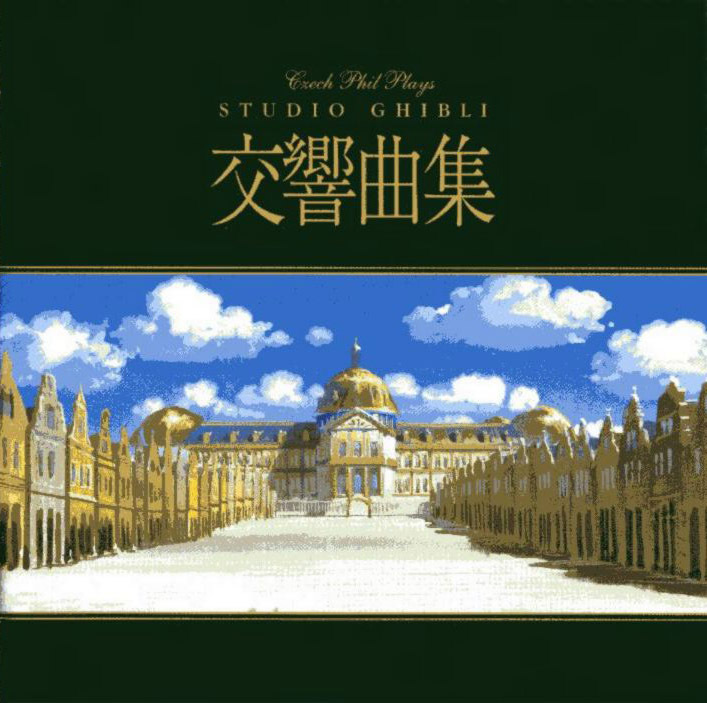 Hisaishi, with his compositions for Princess Mononoke, Spirited Away, and Howl’s Moving Castle provide this album with its known quantities, but it’s in the lesser-known Ghibli works that this album shines. Both Akiko Yano and Yuji Nomi rise to the occasion; their works provide a rich musical fabric that ultimately transcend the media for which they were composed.